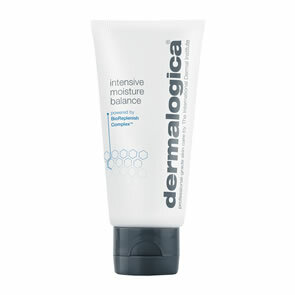 Dermalogica Ultra Rich Body Cream is an ultra-rich, long-lasting body cream designed to help heal and relieve extra dry skin. This unique liquefying formula is also ideal for all-over, deeply-moisturising body massages. 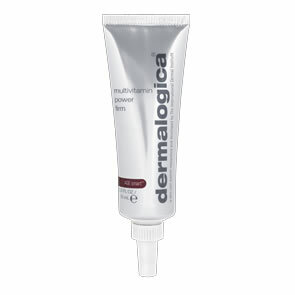 Fortified with Dermalogica's Environmental Protection Complex of Glycolipids and Vitamin E to help restore and enhance the barrier function of skin, reducing moisture loss while combating free radical damage. Hyaluronic Acid and Evening Primrose Oil, a concentrated source of skin-smoothing Linoleic Acid, quenches and reconditions thirsty skin while Panthenol aids in cellular repair. Uniquely long-lasting formula liquefies upon skin contact for unsurpassed moisturisation with unparalleled slip-and-glide. Does not leave greasy residue on the skin. Formulated without essential oils, this formula is ideal for even the most sensitive skin. With our Environmental Protection Complex of Glycolipids and Vitamin E, this formula helps to restore and enhance the skin’s barrier function and helps combat free radical damage. Hyaluronic Acid Evening Primrose Oil and a concentrated source of Linoleic Acid reconditions thirsty skin. Panthenol (Pro-vitamin B5) aids in cellular repair. For deep moisturisation, apply Dermalogica Ultra Rich Body Cream to the body immediately after showering or bathing with large, sweeping movements. I suffer from extremely dry and itchy skin every winter when the heating gets turned on and when it's really cold outside. This body cream is the only one I've found that eases the itching and provides sufficient hydration. I ordered this Ultra Rich Cream, after using a Body Hydrating sample once and was amazed at what it did for my extremely dry skin so quickly. I ordered this late Monday afternoon and received first thing Tuesday and could not wait to leave work and try it...It is now Wednesday morning and I cannot believe how smooth my skin looks and feels - it has literally been years since I've had this and I tried so many products from shop shelves, herbal medicines and Doctors. I cannot wait to see what happens after a week! Thank you so much for such prompt service, just cannot honestly believe it what it has done for me.